I Just Bought a Property That Hasn't Settled. Why Do I Need Property Insurance Right Away? I Just Bought a Property That Hasn’t Settled. Why Do I Need Property Insurance Right Away? Buying a new property is an exciting time, whether it’s your very first purchase or yet another in a string of purchases. Generally, a property settlement takes 30 days before you can officially take ownership of the new house or apartment, but there is one key point that often spreads confusion; particularly among first time home buyers. And that is the subject of insurance on the newly purchased property. Once you’ve signed the contract, one of the very first things you’ll be advised to do is take out insurance on that property from day one. But wait. I don’t officially take ownership of the property for another 30 days. True and not true. Yes, it’ll be 30 days before you officially take full control of the property and can start moving in all your prized possessions, but under property law, your contract will state that from the first business day after signing the contract you’ll be liable for the property you just purchased. If the property is damaged during the settlement period, you (the buyer) cannot pull out of the contract and still have to go through with the purchase as is. Also, it’s important to include public liability insurance in the event someone is injured while still occupying the property during the settlement period. Taking out immediate insurance on the property is the answer to this dilemma and it’s important to understand that this is a necessity on standard contracts, and not really something you’ll want to consider as optional. Your experienced property lawyer or even your real estate agent will strongly advise you to do so ASAP, and you should definitely heed this advice. What you don’t want is for your excitement to turn into extreme regret, simply because you failed to cover yourself during the process. There are a few exceptions regarding being able to back out of the deal. For example, if the house burnt to the ground during the settlement period and you didn’t have insurance, you would not be required to continue on with the contract to purchase. Put simply, any circumstance that renders the property unfit for occupation. 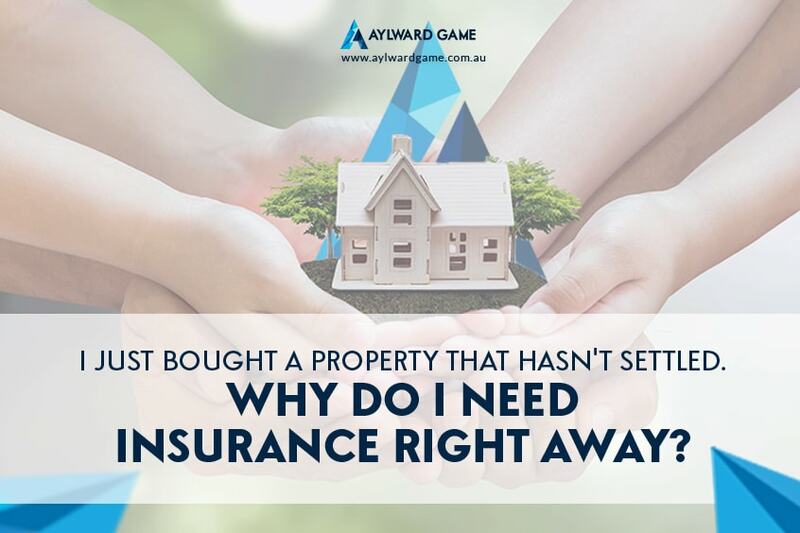 At Aylward Game Solicitors in Brisbane, we specialise in property law and property conveyancing. If you have any questions about the purchase of a property and the insurance requirements, be sure to talk to us first.